Our Company: Australia City Properties Management Pty Ltd (ACPM) Trading As Global Property Investment Group was established in the year 2001 since then, the company has established itself as a leading Real Estate Group in Sydney. We the area specialist cover all aspects of Real Estate which includes Off the plan project sales & resale of properties, Property & Asset management, Building management and we have a strong referral network. After years of strategic management and successful operation has grown the number of properties under our company's management exponentially during the past few years to a multi million dollar corporation. ACPM History: Originally Mr Michael Wang founded the company when he was doing off the plan sales and had sold 50% of “The Summit Apartments” directly from Meriton Apartments. Through hard, loyal and committed work, we secured the Caretaker rights for The Summit Apartments which is a 35 story mixed use building which has 10 retail shops, 4 commercial suites and 338 residential apartments and we have held that position since 2001. Due to our commitment, hard work and strong management our landlords and property owners in the building have renewed our caretaker contract until 2041. In 2003 Michael’s son Robin Bo Yun Wang took over the business and has been running this successful company alongside Lucy Hu who has been with ACPM since the commencement of the business. * Proactive communication with owners and tenants. 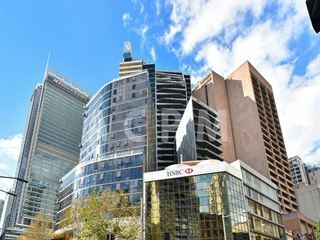 Our Location: Our office is located on the Ground Floor and First Floor of The Summit Apartments, which is at 569-581 George St Sydney, a multifunctional building that has close to 352 luxurious lots, large and spacious underground parking areas, indoor swimming pool, spa, gym, games room & outdoor recreation sections on site with 24-hour security services. 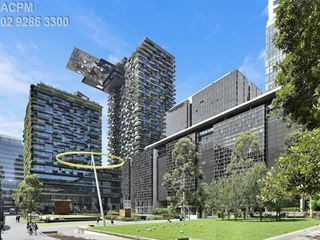 The complex also includes an arcade with the shops facing Sydney’s main thoroughfare, George Street. To the West is Darling Harbour, a hub that has thousands of tourists and locals flock to daily. ACPM is a licensed real estate agency offering a range of real estate services which include Selling, Leasing, Property management & business agency services to clients all over Sydney.